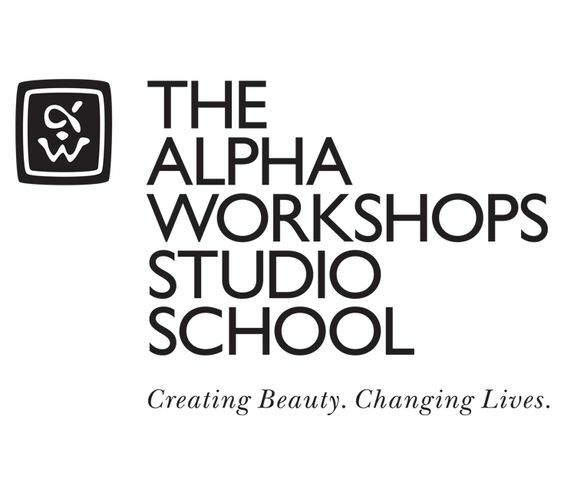 Spring has sprung and The Alpha Workshops Studio School is expanding! AWSS’ latest addition is Leisa Herrera, a seasoned Director of academic and nonprofit organizations and AWSS’ new School Director. Learn more about Leisa in our short Q&A in which we discuss the joys of a tranquil workplace, how art and faith inspire and how helping others leads to great rewards. Tell us a little about yourself – where were you before joining AWSS and where did you go to school? Immediately before coming to the Alpha Workshops, I served as the Special Assistant to the Executive Director of Good Shepherd Services. I obtained my Bachelor’s and Master’s Degrees at Liberty University and am currently in ABD (All But Dissertation) Status for a Doctorate in Educational Leadership at Northcentral University Online. I have also obtained Bachelor, Master and Doctorate degrees in Theology. Prior to my service at Good Shepherd, I spent more than 25 years in various academic, nonprofit and faith-based organizations where I honed my skills in program management, administration, youth development and community organizing. 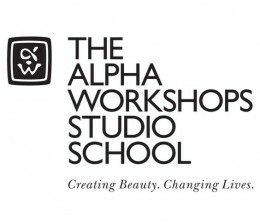 How did you first hear about The Alpha Workshops? I heard about the Alpha Workshops during an online job search through Idealist.org. What drew you to the organization? At first, I wasn’t going to apply for this role because I knew that I did not have experience in decorative arts even though the population served is close to my heart; however, I kept being led back to the ad and decided to look at the website and anything else I could find to learn more about the school and how I could fit. I decided to take a chance at applying believing that my human services and administrative skills would be of the most benefit to the school and I would have the added enjoyment and challenge of learning a new industry while still being able to help people. How do you start each day at work? I pray every morning before I come to work and have a series of daily affirmations that I say for myself. I also try to play a little jazz music in the morning and watch something funny to set the tone for my day. As I am still learning the school, I spent most of my time trying to absorb everything around me (reading old documents, looking through old computer files) just to get a sense of how things work. I am drawn to the students and so I try to connect with them as much as I can – even if just in passing. I am also in the throes of recruiting for new students so that takes up a great deal of time too. What is your idea of happiness at work? Happiness at work for me is a trusting and relaxed environment; where folks are not running around like their pants are on fire every two seconds; where people’s smiles and laughter are genuine; where folks get that I might break out into a loud and wrong song and a two-step and maybe, perhaps, join in! But at the end of the day, we respect each other and the work that needs to get done to bring us one day closer to realizing the vision. I don’t think that any of us can live without it. Art makes us laugh and cry and dream. It brings us out of dark places and lets us know that we all have something beautiful inside of us. I think part of our problem as a society is that there are artists out there who haven’t done anything with the art inside of them – and we’ll all robbed of that. I am not a decorative artist … yet. But I make sure that folks see the art inside of me every day that I live. What do you hope to bring to the Alpha Workshops school? In addition to strengthening our infrastructure, I hope to really do my part to contribute to the wonderful foundation that the staff has already laid here. More than that, I hope to bring a new sense of energy, joy and hope to the school and to its students. I want everyone who walks through these doors to feel that they are valued and respected- even if they’re just coming to deliver a package. If you treat people right, they remember and they reciprocate in ways that are beyond rewarding.